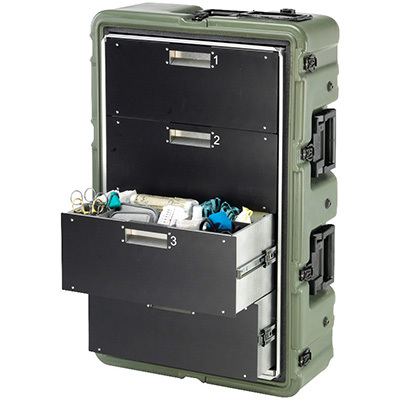 The 4 Drawer Medical Case is designed to provide maximum protection in any situation. Impervious to weather, temperature and impact - the rotationally molded shell keeps all your supplies dry, dust free, and secure. With four large drawers providing ample storage for all your bulk items such as gauze, solvents, large prescription bottles and IV fluids. Equipped with a customizable divider system and wheels. 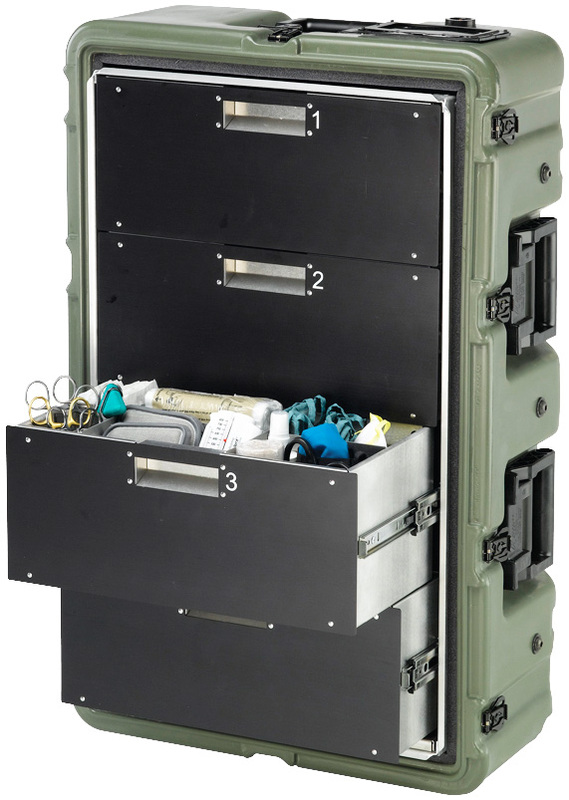 Keep your medical supplies secure, organized and at arms reach with the Peli-Hardigg™ four drawer medical chest. Made in the USA.